Weddings are wonderful. And nothing makes it more special than to have all your loved ones spend such a momentous day with you. But when I say all, it doesn't just mean putting Aunt Bertha on a corner table or placing Uncle Joe as far away from the liquor bar, I meant including our fur babies with us. Just one of the many funny pictures there is in this dog book. Wedding Dogs don't just capture the pretty and timeless, they also include the funny and squishy. Wedding Dogs: A Celebration of Holy Muttrimony shares different newly wed moments in a fashion where their dogs are a part of that special day. May it be posing for wedding pictorials or walking down the aisle as part of the wedding entourage, there's no denying that dogs can make a wedding more fun and memorable. 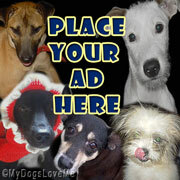 Wedding Dogs showcases those moments in an interesting and entertaining way. Here's a priceless dog portrait of the Siberian Husky I call the "licking bandit". The gassy guest, the tinkler and the licking bandit are just some of the many stories that's stuck to my mind while reading it. Of course, I'm not going to spoil any potential reader's fun by saying the names of each story's "guilty" party. 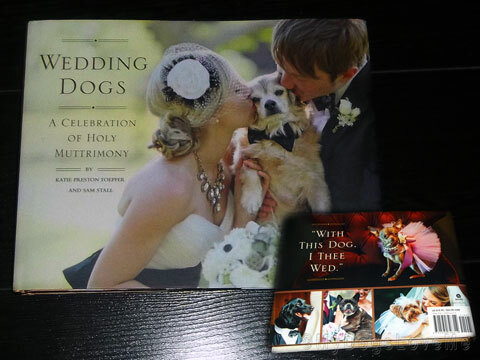 Nonetheless, if you're an avid collector of dog books (or even wedding books), Wedding Dogs by Katie Preston Toepfer and Sam Stall is definitely a must have in your collection. Finally, I'd like to thank Quirk Books' Eric Smith for making it possible for me to be a part of the first people to read this sweet and heartwarming book to be publicized on April 16, 2013. I wonder which shot is my favourite??? What a fun idea for book. Precious memories shared. Have a terrific Tuesday. Looks like a fantastic book. We'll be on the look out for it. I've already told my partner we're not geting married unles Sheba's there, luckily she's understanding. Peep just love their pets! We just posted a pic of the mom's sister dressed for her wedding with the family dog and her kitty sitting on the train of her gown. Siku was certainly part of our Recommitment Ceremony (before there was a WDA)! This sounds like a happy, wonderful book! Momma's birthday is the 15th but thank you so much for remembering...you are her very first birthday wish! Oso is 12 years old. He DOES look like a young but he's just a little old man that grunts and snores! Sorry we have been so remiss in visiting; we have missed you and are hoping the trials and storms have passed sufficiently to allow us to return to what we care most about...our loved ones! That sounds like a really neat book! If my human bro and sis ever get married they better let me be in the wedding! Tee Hee! No offense! Mica Moo is part Siamese and is formerly feral, so she is very nervous. She has removed all her eyebrows and furs so she looks like an alien. We tried every calming product and taken her to the vets but nothing has worked. She is going to have to go back to the vets to see if he can think of anything else. I hate to have to medicate her, but maybe a small dose???? BOL! I've never been to a wedding! Don't forget Friday is Q & A day!